Whitewater rafting and unique themed float trips near Revelstoke. With over 20 years of safe operation and exceptional service, guests are greeted like family and treated with care. The Revelstoke Rapids is a perfect half day exciting ride on the rapids through Mount Revelstoke National Park. For the very young, the themed River Pirates adventure on calm water is offered. In the evening, enjoy a scenic float paired with other Revelstoke experiences for a one-of-a-kind adventure. The Illecillewaet River is an exciting whitewater rafting trip through gorgeous scenery and wild sections of whitewater. This class 3+ river is characterized by big, splashy waves and rapids. It's also a great trip for beginners. This trip begins at Albert Canyon, 30 km (20 mi) east of Revelstoke, and you go for an exhilarating 26 km (16 mi) ride on the river. It finishes with an epic water fight using their exclusive super-soakers. Free photos and freshly baked snacks included. A hilarious, pirate themed adventure of mayhem, mutiny and lost treasure on a calm, class 1 section of the Columbia River. It includes keepsake pirate props and treasure. A gentle one hour float trip featuring costumed actors and piloted by certified raft guides. 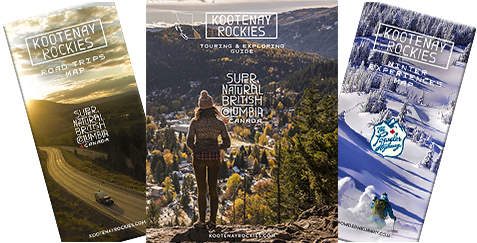 The experience is an exceptional way to experience the history of Revelstoke and Selkirk Mountains.